Products – Deluxe Frozen Food Inc.
Perogies, or varenyky as they are known in some circles, are the essence of our business. 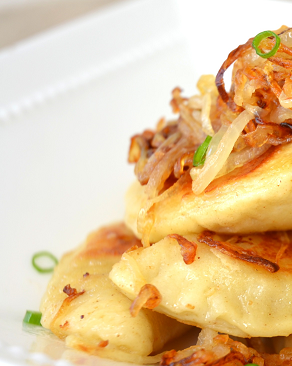 With care in mind we produce Perogies according to the unique formulation our founder developed using fresh ingredients. At the same time we preserve and lock in all wholesome natural nutrients of the ingredients. You can cook both tasty and healthy meals with Deluxe Frozen Food products! 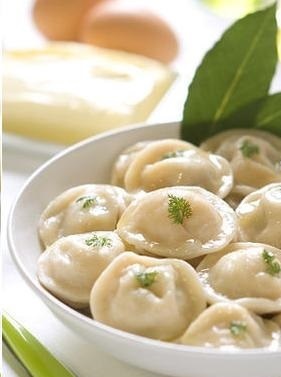 Deluxe Frozen Food Brand pelmeni are the first grade quality made of high-caliber ingredients. Its rich taste and excellent dough texture will make every-day dishes delicious and unique. This is a perfect way to show care for your loved ones! © 2012 Deluxe Frozen Food Inc. All rights reserved.